Sir Edmund Kerchever Chambers (1866—1954) was the first president of the Malone Society, serving from 1909 to 1939. He was a prime example of those late Victorian gentlemen who productively channelled their interests into something of great use to society. Chambers was simultaneously a leading public servant, rising from the 1890s to the 1920s to second secretary of the U.K. Department of Education, and one of the greatest ever researchers of the early modern stage. The story as we have it is that Chambers wished to write a life of Shakespeare, but decided to undertake a little preliminary research first. Over the ensuing 30 years, this research became The Medieval Stage, The Elizabethan Stage, and finally his work on Shakespeare. It would be fair to note that the Chambers Shakespeare biography is not universally acknowledged as the best of its type. The “preliminary research” works, by contrast, were and remain monumental works of painstaking scholarship. Readers may be surprised that Chambers’s landmark works are, with some care, able to be acquired in collectable versions for modest sums. Chambers was astoundingly prolific despite (or on second thought, more likely due to) his lack of an academic appointment. In addition to these works, a collector and particularly a scholar should also acquire Beatrice White’s Index to the latter two works above. All the above works were published in first editions by Oxford Clarendon Press, so were printed to last a long time with good care. 1) All the works have been extensively reprinted, so collectors seeking first editions would be well advised to contact the bookseller before purchase, to confirm the above editions and publication dates. Some scholars may prefer later editions which will include some corrections from the first editions. 2) It can be much cheaper to collect multi-volume sets from among “orphan” volumes, but this exposes the collector to the risk that the assembled set will suffer from variable quality. 3) I find that ABE Books (www.abebooks.com) has by far the best selection, and also has good online search and sales functionality. 4) The multi-volume sets often attract extra shipping charges, but this can sometimes be negotiated. When searching for the 1903 volumes, use all of “Mediaeval” “Medieval” and “Mediaval” as search terms. Currently “Medieval Stage” is selling online in at least good condition for $45 to $300 for a matched 2 volume set. The more expensive sets tend to have former owner association values; otherwise collectors can find completely acceptable sets for $50 to $75. Those of a competitive shopping bent are invited to match my daughter, who acquired her two volumes separately and in excellent condition for a total of $17.07 shipping included. It is possible to spend a great deal of money on the four volume set, with $700 to $800 often asked for fine sets—and not much less than that for the 2009 reprint. But good to very good sets are reasonably available for around $200, and one can sometimes do much better, with $50 for a good set achievable with luck and patience. This is the book Chambers spent 30 years getting ready to write, including producing the above volumes. Prices for the two volume set start around $50, but $75 to $200 is more common for a set in good condition. Volume II can be purchased in good condition for less than $10, but finding an “orphan” Volume 1 is difficult. White produced this under the auspices of the Shakespeare Association, and Chambers was kind enough to put in a laudatory preface. A more honest preface might have had Chambers admitting to such sparse indexing, that frustrated readers banded together to produce an independent index! Very useful for active users, and at prices starting from $7 (but $25 more common), not a major investment. Chambers produced a great many other works, often printed in high quality editions by Oxford Clarendon. Plus of course he had considerable input into the early Malone editions. A quick search through ABE reveals many interesting “minor” Chambers works for under $10. Happy collecting, and happy reading. This post is the third in our series of guest-authored posts written by scholars who have been awarded funding for their research by the Society. This post was written by Emma Whipday, a PhD candidate at University College, London. I was awarded a 2014 Malone Society Bursary to stage a research production of ‘The Tragedy of Thomas Merry’ from Two Lamentable Tragedies (1601), which portrays the murder of a London shopkeeper by his neighbour. The play is significant in its tragic portrayal of a murder in the home of an ordinary Londoner, and in its unprecedented attention to the forensic processes of detection. On Friday 21st March, the production was staged at UCL in what was, to my knowledge, its first performance in modern times. The play is based on a true murder that took place in London in 1594: Master Merry, who ran a tavern, murdered a neighbouring shopkeeper, Master Beech, and the surrounding community worked together to solve the crime. This sensational murder caught the attention of Elizabethan London; it was reported in news pamphlets and sung about in broadside ballads. In 1600, a play named ‘The Tragedy of Thomas Merry’ was performed at the Rose by the Admiral’s Men. The following year, a play based on Merry’s crime was printed in quarto, in a collection entitled Two Lamentable Tragedies. The title page claims that the author of the plays is Robert Yarington. The only surviving record of a Robert Yarington living in London refers not to a playwright, but to a scribe; it is impossible to discover whether he was the author of the plays, or whether he simply compiled them into a single narrative. 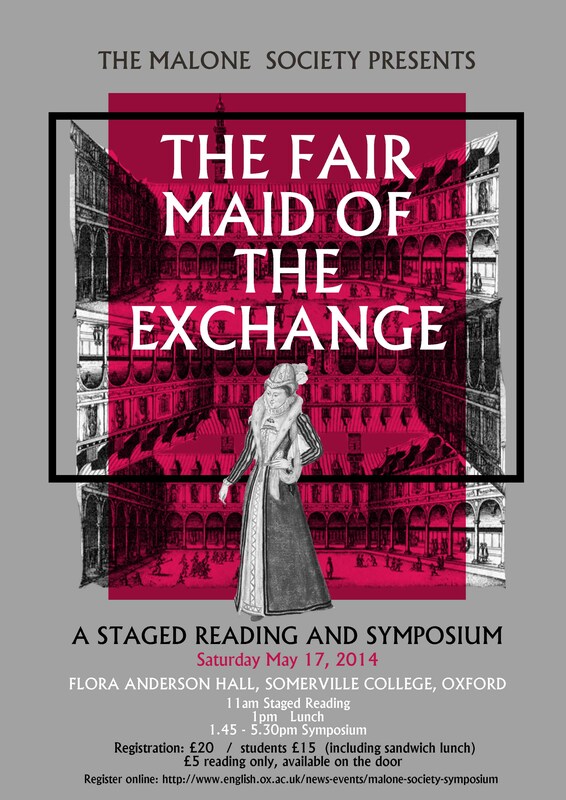 The second play is fictional, set in Padua, and stages the murder of a nobleman’s ward. Scenes from both tragedies are intertwined in the quarto, and thus Two Lamentable Tragedies is unique in presenting a traditional, elite tragedy alongside a true and recent neighbourhood murder. In staging only the tragedy of Merry, I wanted to test whether it was performable as a standalone play. Drawing on the Malone Society edition of Two Lamentable Tragedies (edited by Chiaki Hanabusa), which was the Society’s ‘Book of the Year’, this research production aimed to discover how our understanding of the play alters when it is performed. This project is grounded in an interdisciplinary approach to practice as research, combining the expertise of theatre practitioners with the knowledge of literary critics and historians. 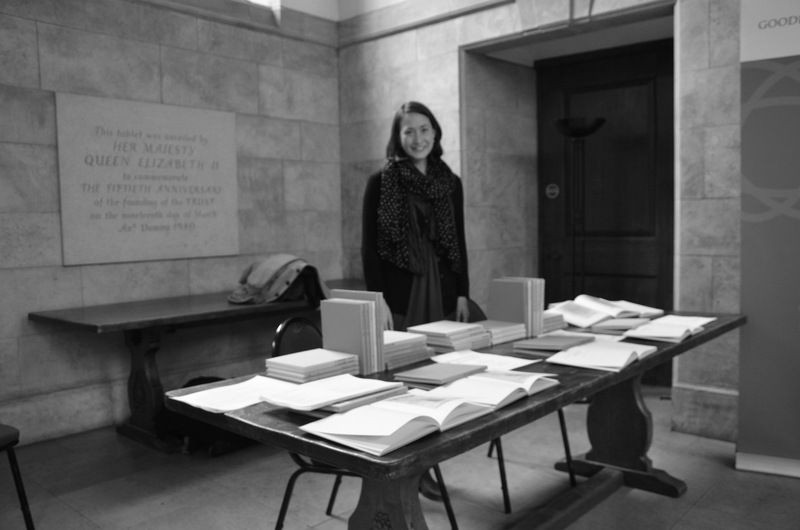 Freyja Cox Jensen (University of Exeter) co-organised the production; Helen Hackett and Alexander Sampson (UCL) were the executive producers; and the cast was composed of both professional actors and UCL staff and students. 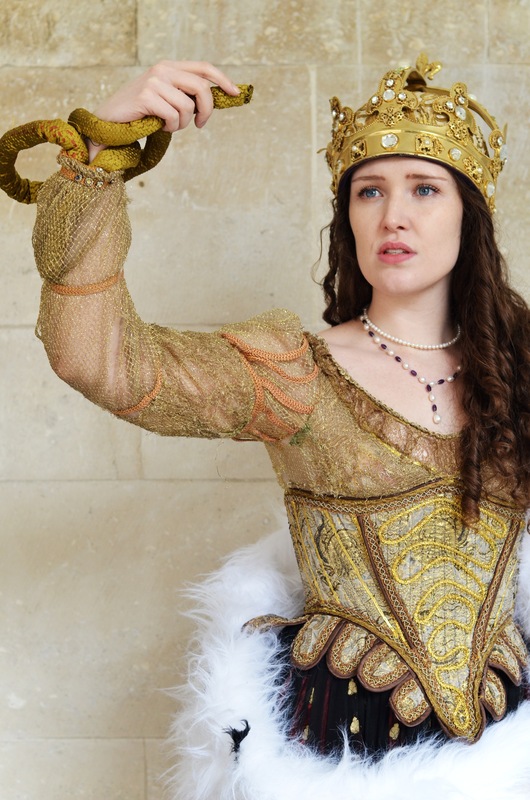 Our production was prepared using Elizabethan rehearsal practices, based on the research of Tiffany Stern (Oxford). We sought to explore the ways in which reconstructing early modern rehearsal and performance practices could illuminate spatial dynamics and character development in the play. 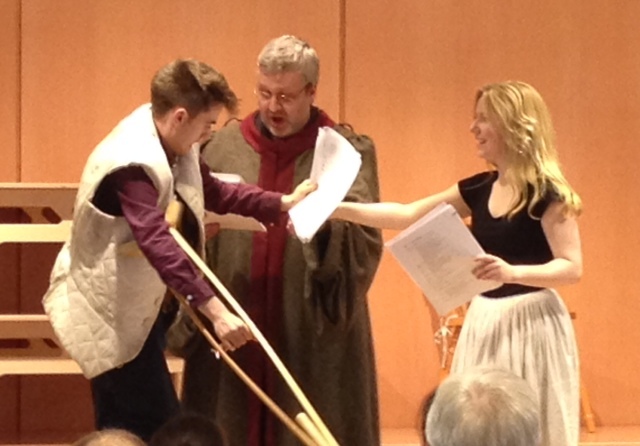 In so doing, we hoped to demonstrate the validity of practice as research as an approach to early modern drama. The actors received their ‘parts’, composed of only their own lines and short cues, thirteen days before the production, at the read-through, at which they read the play aloud; they then met with me individually to discuss their character choices and work on their lines. A week later, we also had a single ‘stage business’ rehearsal, where we plotted use of props, fights and the closing jig, and a single dress rehearsal. These were the only times the actors rehearsed together; the rest of their work on the text took place alone. As the ‘book holder’ or prompter, I sat to the left of the playing space during the final performance, visible but not part of the action, to highlight the role of the book holder for the audience. 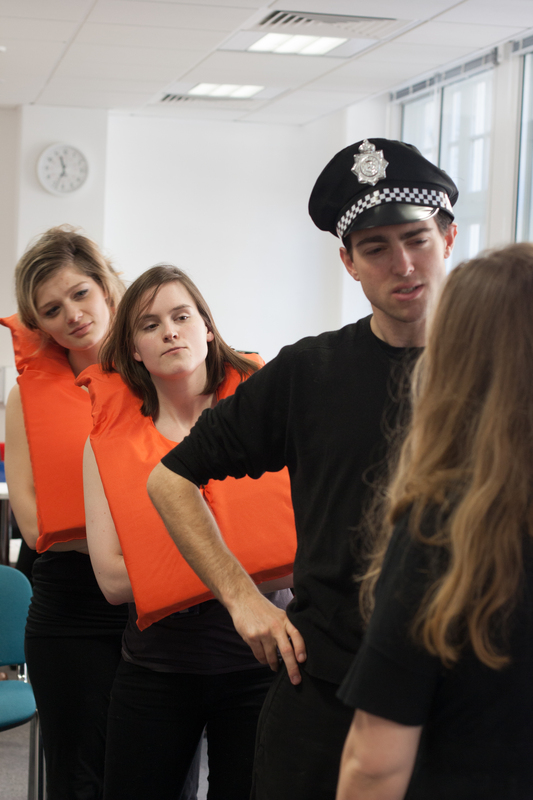 Charlie Howitt as Second Waterman, Becky Moore as First Waterman, Brian McMahon as Constable, and Eleanor Rushton as Rachel. Photo credit: Niina Tamura. The performance was accompanied by music contemporary to the play. 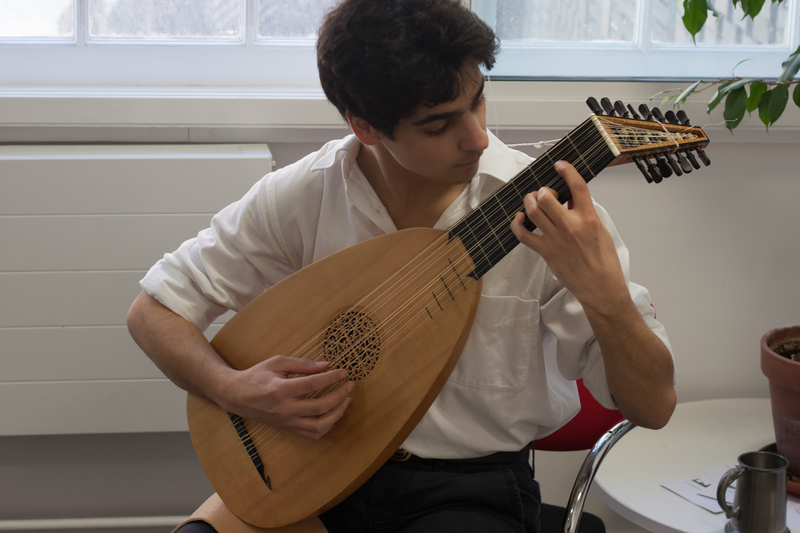 Our lutenist Sam Brown performed at the side of the stage, and was visible to the audience throughout. He drew from his repertoire pieces by various composers, including John Dowland, Robert Johnson and Francis Pilkington. Our musical director Simon Smith assisted in the selection of pieces, and worked with us on adding musical cues to the script, ensuring that our musical practices were appropriate. Music was used as an overture, in the act breaks, at moments of heightened theatricality – such as when the narrator-figure, Truth, appeared – and to accompany the closing jig. The production was a great success. 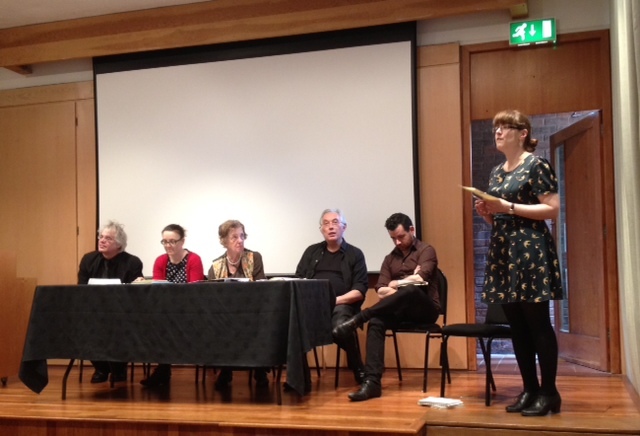 The actors gave wonderful performances, my services as prompter were only needed a couple of times, Tiffany Stern’s introductory talk about actors’ parts and early modern rehearsal methods was fascinating and accessible, and the audience was enthusiastic and appreciative. We were amazed by how smoothly the play went with so little rehearsal time; it seemed to suggest that, with early modern actors accustomed to learning lines from ‘parts’ and a limited rehearsal period, Elizabethan first performances may have been more polished than we might imagine. We were even more surprised by how funny the play was – the audience laughed heartily throughout, even at seemingly ‘tragic’ events. This has raised interesting questions about how comedy and tragedy interact in the play. There are plenty of comic moments, from farcical falls to one character’s mis-hearing of murder as ‘mustard’, and even seemingly ‘tragic’ moments, involving murder and dismemberment, are macabre to the point of absurdity, and thus provoke laughter. Yet the narrator-figure, Truth, repeatedly calls attention to the truth of the crime that is staged, and comments on the teary eyes of the audience, reminding them that the action they watch is ‘but a play’. In our production, Truth’s commentary became an uncomfortable counter-point to the audience’s vocal amusement; this provoked further thought about how the hybrid genre of domestic tragedy may have been received by its original audience. I will be discussing the production at Andy Kesson and Stephen Purcell’s ‘Practice as Research’ seminar at the upcoming 2014 Shakespeare Association of America Annual Meeting, and look forward to exploring this issue further. I am extremely grateful to the Malone Society for supporting this project; their generosity made our performance possible. This allowed us to purchase necessary stage properties, from pewter tankards to stage blood. It also made it possible for us to provide refreshments for the audience, so that Freyja and I could distribute questionnaires about audience responses to the play, and then swap completed questionnaires for glasses of wine, which proved a popular bargain! We look forward to exploring these audience responses over the coming weeks. Furthermore, thanks to the Malone Society Bursary, I was able to invite Philip Bird, an experienced actor, director and teacher, to lead a workshop for our actors on Elizabethan rehearsal practices. Philip worked with the Original Shakespeare Company in the 1990s, and regularly leads workshops on cue-scripts at Shakespeare’s Globe and elsewhere. Concentrating on examples from Shakespeare, he worked with the actors on how to approach a part, before giving out the cue-scripts for scenes of various sizes. 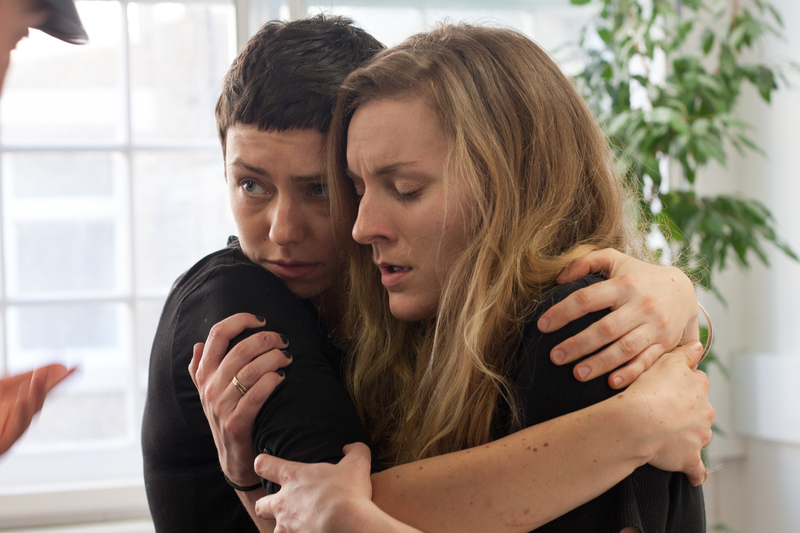 The actors all rose to the challenge, and though they admitted to finding the experience of working with cue-scripts ‘terrifying’ at first, they produced some fantastic scenes where everyone was engaged, responsive, and listening very hard indeed. It was a demanding process, but Philip was generous with his advice, and everyone participated with enthusiasm and immense concentration. The workshop proved invaluable for the actors in preparing for the final performance. This was a hugely enjoyable, if daunting, process for everyone involved. The fruits of this production will inform and substantially benefit my own research on both Two Lamentable Tragedies and the genre of domestic tragedy, and I hope that the performance of the play proved illuminating for other scholars in the field. N. B. Click here if you would like to see the actors discussing their experience of working with ‘cue-scripts’ and early-modern rehearsal methods. This post is the second in our series of guest-authored posts written by scholars who have been awarded funding for their research by the Society. This post was written by Yasmin Arshad, a PhD Candidate at University College London. I was awarded a 2013 Malone Society Bursary to mount a production of Samuel Daniel’s neo-Senecan closet drama, The Tragedie of Cleopatra. 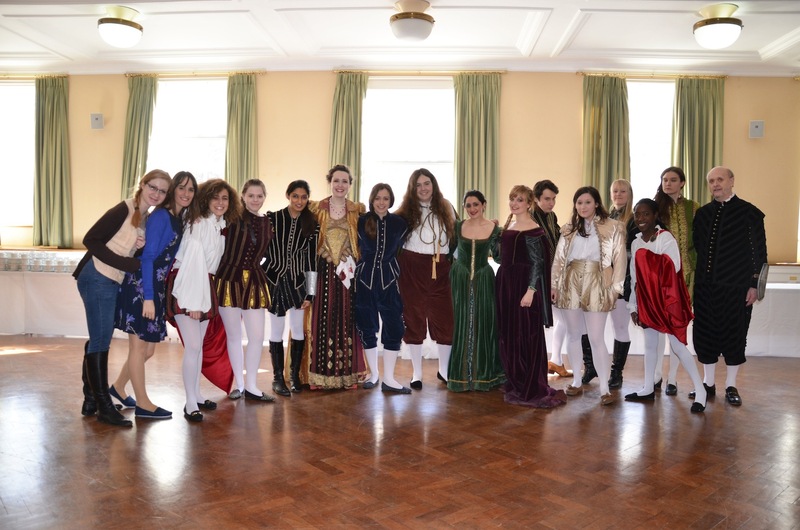 The performance, with Emma Whipday as director and Professor Helen Hackett as executive producer, was held on Sunday, 3 March at the Great Hall of Goodenough College. This may well have been the first such staging of Daniel’s play in four hundred years and certainly the first in modern times. Published in 1594, Daniel’s tragedy is significant as the first original drama about Cleopatra in English. Written as a companion piece to his patron, Mary Sidney’s Antonius (a translation of a French play by Robert Garnier), it portrays a strikingly different Egyptian Queen from the usual representations of the scheming seductress we have come to expect. Daniel’s play focuses on the final hours of Cleopatra’s life, showing a great queen in defeat as she struggles to negotiate some form of mercy for her children, while knowing that she has no option but to commit suicide or be led as a trophy in Caesar’s triumph. Daniel’s closet drama is important also as a play that is in dialogue with Shakespeare. It was almost certainly a source for Shakespeare’s Antony and Cleopatra, but Daniel was in turn influenced by Shakespeare in his much-revised 1607 edition. Although considered obscure today, Daniel’s play was a best-seller in its time, going through nine editions and five sets of alteration. Malone Society bibliophiles will be interested to know that in his study of early English plays, Peter W. M. Blayney has pointed out that Cleopatra would have ranked second in the number of editions published, out-performing Marlowe’s Dr Faustus and doing better than any of Shakespeare’s plays. The idea for this production is based on my research on a portrait of an early-seventeenth century English aristocratic woman depicted as Cleopatra holding the asp, accompanied by an inscription. The painting has remained relatively unknown and was misidentified and misdated, with little work done on its inscription. The lines can be identified as coming from the 1607 Cleopatra (or the 1611 reprint) and the sitter as possibly being Lady Anne Clifford. The portrait is exciting as it may be a record of an actual performance of a closet drama. Until recently it was thought that such plays were written to be read aloud in coterie circles, but recent scholarship has suggested that they may have been fully staged in elite country house settings. The painting, which last came up for sale at Christie’s in 1948, has disappeared during the last sixty-five years. Its only visual record is the photograph the National Portrait Gallery had taken at the 1948 auction. Although more light can only be shed on the questions surrounding the portrait with its location, the painting itself provides us with a remarkable visual image of a Jacobean lady ‘playing’ Daniel’s Cleopatra in some way. It adds something new to our knowledge and understanding of early modern closet drama and female agency. The aim of our production was to test the performability of Daniel’s closet drama, and to change the commonly held perception that there was no female participation in drama in Shakespeare’s time. Women were not only writing closet drama, but may well have been performing in these plays in the great country houses, using them to explore models of female heroism. As much as possible we wanted to replicate the probable conditions of a Jacobean country house performance. We used Daniel’s 1607 Cleopatra as our play-text, primarily because the lines in the portrait’s inscription come from this edition. We decided to keep the play to about two hours for audience comfort, and as we were preparing the script and reading it out loud to time it, we began to realise that Daniel’s closet drama with its implicit performance cues, make it very performable. We also decided to follow the inscription’s lines in the script rather than those from the play text itself. If the portrait is a record of a performance then the excerpted inscription may suggest that an abridged version of the closet play was staged to make Cleopatra’s final 36-line speech more manageable for the actor –this also set a precedent for our cutting some lines. By moving beyond a staged reading with script in hand, we are satisfied that we have demonstrated that Daniel’s closet drama is fully performable. We were fortunate to have a cast and production team of extraordinary talents, and to have Charlotte Gallagher as our impressively mesmerisng Cleopatra and the talented Beth Eyre as our coldly ambitious Caesar. Both, alumni of UCL’s English Department, are now professional actors. It has been an exciting and wonderful experience to produce Daniel’s Cleopatra and to show how fantastic this moving and fascinating play is in performance. Staging this production has provided valuable insights into Daniel’s play and into understanding the workings of closet drama in general. I am very grateful to the Malone Society for their generous support of this project and in helping make the magnificent costumes and the DVD of this production possible. Malone Society editions have formed an important part of my PhD research, particularly Daniel’s Hymen’s Triumph and Cary’s Tragedy of Mariam. The Cleopatra team will be discussing the research that led to this production and performing scenes from the play at Knole House in Kent, on Saturday, 9 November, and at the Shakespeare Institute in Stratford on Tuesday, 12 November. Details will be posted on our blog and on the UCL Centre for Early Modern Exchanges website (www.ucl.ac.uk/eme). For more on women’s participation in drama in Shakespeare’s time, see Helen Hackett, A Short History of English Renaissance Drama (London: I. B. Tauris, 2013), pp. 175-88. For more on the portrait of a Jacobean lady in role as Daniel’s Cleopatra, see Yasmin Arshad, ‘The enigma of a portrait: Lady Anne Clifford and Daniel’s Cleopatra’, The British Art Journal 11.3 (Spring 2011), pp.30-36. 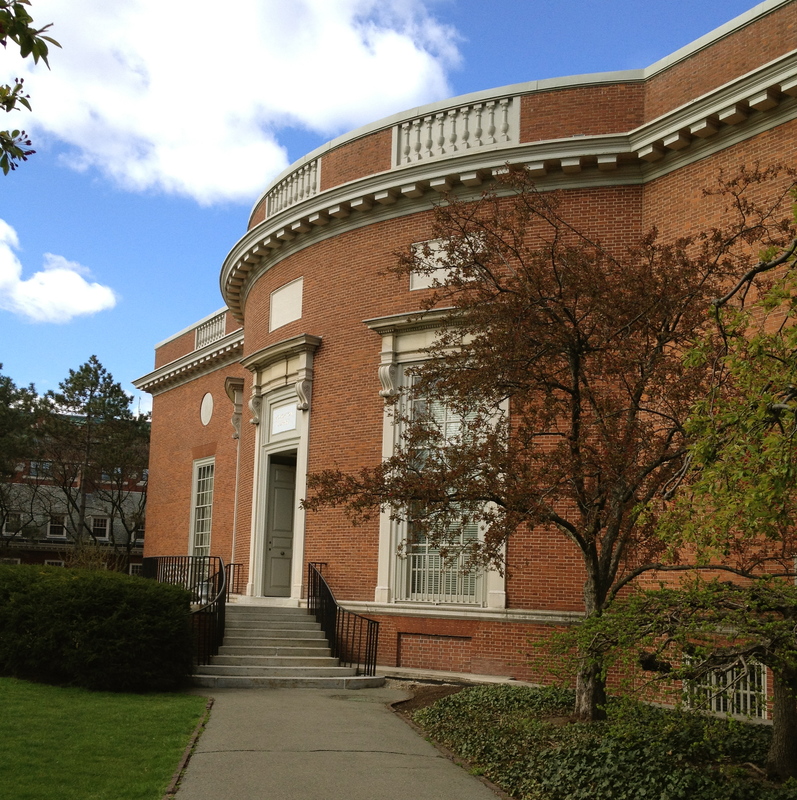 In 2012 I won a Malone Society Bursary that funded a research trip to the Houghton Library at Harvard University. 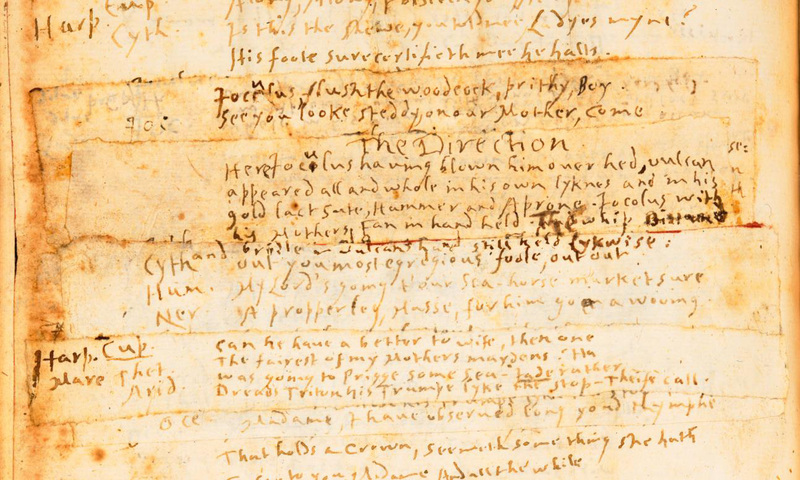 The Houghton is home to rare books and manuscripts at Harvard, and so home to an original quarto of the Admiral’s Men comedy Look About You, first printed in 1600, and to an undated manuscript transcription of the play. Because I imagine you, dear reader, as a bibliographically kindred spirit, a few technical notes on the two quarto-sized volumes of Look About You housed in Houghton. The Kemble-Devonshire copy is one of the eight known extant quartos from the 1600 printing by Edward Allde for William Ferbrand. The actor-manager Kemble’s tidy manuscript labels the title page as a ‘First Edition’ and announces it ‘Collated | & | Perfect.’ as of 1798. The text is in mostly good condition, but the inlay obscures many headlines and some catchwords; small tears exist on several pages. The Harvard library system sent high-quality digital images of the quarto to The Shakespeare Institute, from which I did my first collation. Having checked doubtful readings in person, I highly recommend their imaging services, and cross my fingers that more archives will be able to digitize their treasures so well. The manuscript copy is bound in half red morocco leather with marbled paperboards, done in the shop of Scottish binder C. Murton sometime in the mid-nineteenth century. It has 82 leaves, and the pages of text are lined in red to create 10.5 cm x 16 cm boxes, lightly lined and filled with neat handwriting. The copy text is unknown, but it appears not to be based on the Folger Shakespeare Library (Huth) copy, which has uncorrected variants on the inner forme of L. As far as I can tell it is a unique copy. No clear provenance for the copy has been discovered – if you know something about the c 1830 practice of transcribing Renaissance plays, for any purpose, please let me know in the comments, or on Twitter (@cassieash). Malone Society Reprints are one of my most valued daily resources, and I am very fortunate indeed to have received the Society’s support for my research. 1. The Malone Society reprint of A Pleasant Commodie, called Looke about you was published in 1913. I bought my copy second-hand in Renaissance Books at Mitchell Airport (Milwaukee, WI). If you want one of your own, and why wouldn’t you, head over to the bookshop. It’s that easy.